Reflecting on the content of our October newsletter, it is easy to overlook some of the innovative ways businesses are incorporating Automation and Business Intelligence in their businesses to increase profits. We all watched our local supermarkets introduce the self-serve checkouts to reduce the cost of labour and increase profits and it just highlights that we live in an ever increasingly fast-paced world that is always transforming. In fact, we are in the fourth industrial revolution, the first of which was in the 18th century. This revolution or as some would call it – ” Disruption” is being fuelled by digitalisation, artificial intelligence, automation and an ever-increasing thirst to innovate and do things better with greater use of technology. As a business leader, it is important for you to keep abreast of these changes in both technology and your marketplace. 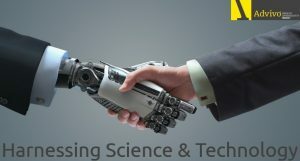 To assist you in this regard I encourage you to come along to our seminar on the 25th of October on Business Intelligence and Artificial Intelligence, are you Maximising your Efficiency Through Automation. Listen to learned presenters on how you can improve your efficiency, cost control, productivity and competitiveness to keep you ahead of your competitors. 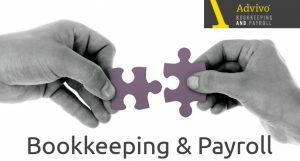 We are also very excited to launch our own Bookkeeping and Payroll service this month (see attached article). Continuing on from the message above, the use of technology has now made for a more efficient and viable service for this essential service, however we know that high-level supervision by our senior accountants is the key to success and more importantly this is another way to ensure you as business owners are deploying your time in the most effective and high yielding way possible as opposed to worrying about everyday operational issues. Business Intelligence – Are you maximising automation in your business? It’s finally here! Discover our new and improved Bookkeeping and Payroll Service. 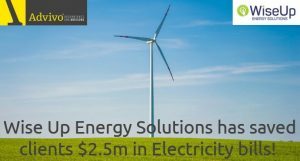 Increase your profits and be a part of the movement changing the way we access energy. 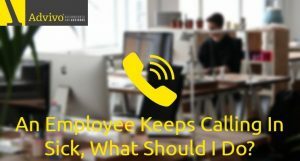 Do you have an employee that keeps calling in sick? It’s almost a given some employees will take a “sickie” in their working life. As an employer what can you do if you suspect someone is misusing their entitlements? 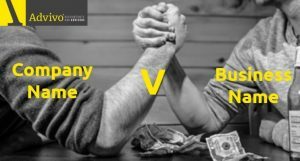 Do you know the difference between a Company Name Vs Business Name? It’s not an easy distinction and can often be misunderstood and leave you vulnerable or sneak up on you in the flurry of things you already have on your plate when starting a business or looking to expand your brand. Are you ready to embrace the changes that are happening all around? Advivo Charity of the Month! 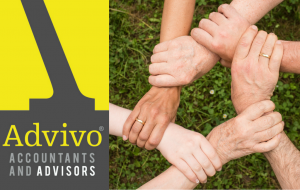 This month, Advivo has pledged their support to Mental Health Australia (MHA) in honour of World Mental Health Day on 10th October 2018. Mental Health Australia (MHA) is the peak, national non-government organisation representing and promoting the interests of the Australian mental health sector, committed to achieving better mental health for all Australians. Our friend, colleague and Chairman of the Board for The Mental Health Association QLD, Harold Peacock is be doing his bit by participating in Kosciuszko Hike for Health to support the MHA. He will climb the top ten peaks in Australia to raise funds and build awareness so the MHA can continue saving lives and highlight the awesome world we live in! Lodge and pay quarter 1, 2018–19 PAYG instalment activity statement for head companies of consolidated groups. Lodge and pay September 2018 monthly business activity statement. Lodge and pay quarter 1, 2018–19 activity statement if lodging by paper. Pay quarter 1, 2018–19 instalment notice (form R, S, or T). Lodge the notice only if you vary the instalment amount. Make super guarantee contributions for quarter 1, 2018–19 to funds by this date. Lodge and pay annual activity statement for TFN withholding for closely held trusts where a trustee withheld amounts from payments to beneficiaries during the 2017–18 income year. Final date to add new clients to your client list to ensure their 2018 tax return is covered by the lodgment program. NOTE: SMSFs in this category must lodge their complete Self-Managed Superannuation Fund annual return by this date. Lodge and pay the Self-Managed Superannuation Fund annual return (NAT 71226) for (taxable and non-taxable) new registrant SMSF if we have advised the SMSF that the first year return has a 31 October 2018 due date. Lodge TFN report for closely held trusts for TFNs quoted to a trustee by beneficiaries in quarter 1, 2018–19.